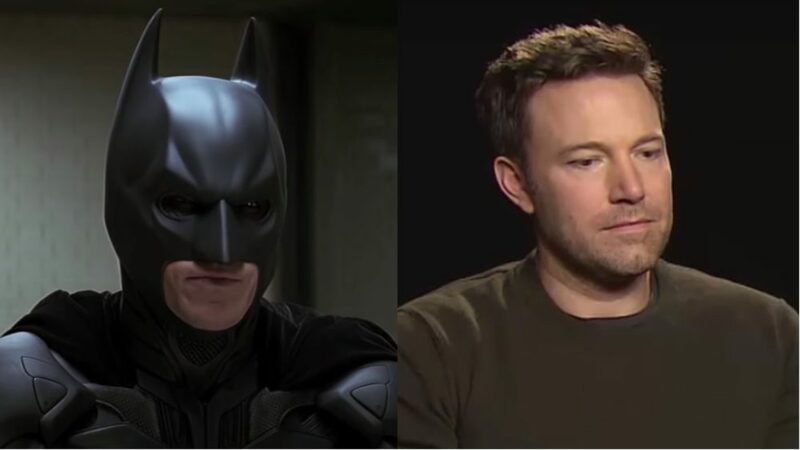 There have been a lot of Batmans over the years, but the last decade has shown D.C. fans the Christian Bale Batman and Ben Affleck Batmans audiences never knew they wanted. The two might not be big fans of each other, though. Or at least, not yet! Christian Bale revealed on a podcast that he’s never seen a Ben Affleck Batman movie. "I have not [seen Ben Affleck’s Batman]. Yes, I’m interested [in seeing it], my son seemed like he was really interested, but then I realized he just wanted to see the trailer and that was it. And, you know, I tend to go see films that [my kids] want to see." Wait, that *kind of* seems like a burn on Bat-fleck, who is reportedly on his way out. It was probably unintentional, though. Bale seems extremely diplomatic about it all! Bale also said he’s never seen an Avengers movie either. He’s “happy to hear” that they’re good films, but has no plans to see them himself. Also, one time he met Affleck when they were both shopping for Halloween costumes for their kids. Bale’s advice to Affleck was to make sure the suit had a zipper, to make bathroom trips way easier during filming. Is that weirdly the cutest thing in the Bat-universe? Yes. Yes it is.